Previous PostBeacon Hill artist featured at SAM Day of the DeadNext PostElection Day: Have you mailed your ballot? Also worth noting that as part of the same June 2012 service change, Route 36 will get additional service on Sundays to relieve overcrowding, as well as probably getting “schedule calibration”, which is where Metro re-jigs the schedules and spends a little extra money to get the bus to run on time more. 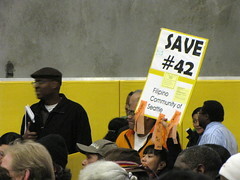 Interesting fact: they are proposing to cut the 34 & 39 routes also. Putting the #50 on that route (which comes from West Seattle, it is going to be really fun to be at the mercy of a bus that gets stuck on the West Seattle Bridge!) What gives, they charge us more and then cut routes, this doesn’t make sense! Oh, I like the route 50. I won’t miss the 38 or the 39 at all. Cutting routes that aren’t used and adding runs to busy routes makes sense to me. I’ve long wanted a direct route from Beacon Hill to West Seattle. After all, it’s just a quick trip across the bridge. Currently, you have to go downtown first. Yeah, I won’t miss these buses either. Their service is redundant. Freeing up the resources spent on these seldom-used routes and using those resources for improved service on frequently-used routes is a good idea. As a regular bus rider, I really appreciate having a seat on my commute and having frequent service. Apologies — I missed the info about the 50. That is relevant — a bus from Beacon Hill to West Seattle! When you live on the west side of Mid Beacon hill, the 39 is not redundant. 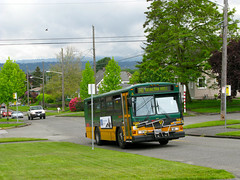 It is the best direct route to downtown (prob half or less the time the 36 would take). With the #50 replacement the plan is to drop people off on the busway at SODO. Not my favorite place to be in the dark or after hours. Currently I do have the option to take the light rail to beacon station and then either walk a mile, take the 36 and cross the VA parking lot, or take the 60. Honestly, depending on timing and luck all these options can take about the same amount of time. Options are nice. The convenience and relative safety of taking a direct route is also nice. Once upon a time in a galaxy far away, the #48 ran from NW 85th & 32nd Ave NW in Ballard to the north end of West Seattle, running along 23rd Avenue & somehow east-west through South Seattle (over Beacon Hill?) & over the West Seattle bridge. I only rode almost the entire route once in the late 1970s–from Capitol Hill to West Seattle & back, but for that one time it made all the difference in the world to me!